On 3 July 1967, a small group of paediatricians, surgeons, pathologists and others met in the Paediatric Department “Service Milhit” of the Institut Gustave Roussy (IGR) in Villejuif/Paris, France. Everyone there knew Dr Odile Schweisguth, and shared a keen interest in paediatric oncology. A decision was taken at this meeting, to form the Club d’Oncologie Pédiatrique (or Paediatric Oncology Club). During the second meeting of the Club, held at IGR in 1968, participants agreed to convene the following year in Madrid, hosted by the late Dr J. Monereo, Paediatric Surgeon. 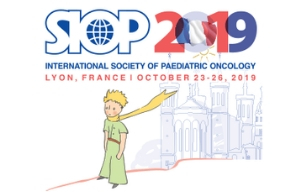 It was during this memorable assembly that it became obvious that there was a clear and widespread interest in paediatric oncology and the Club was transformed to the Société Internationale d’Oncologie Pédiatrique (SIOP) on 6 November 1969. The Founding Members of the Society, who were present at the founding meeting of the Society in Madrid and voted for the constitution, were Doctors Bouchon, Boureau, Brunat, Carton, Delemarre, Gerard-Marchant, Gompel, Gubler, Hitzig, Hurtado, Kaser, Lemerle, Massimo, Maurus, Monero, Neidhardt, Noel, Pages, Payan, Pellerin, Pluss, Orsini, Raybaud, Schlienger, Schweisguth, Sullivan, Voûte and Wagner. SIOP was legally established in 1969. Under the name of International Society of Paediatric Oncology there exists an association governed by the present statutes and by the provisions of articles 60ff. of the Swiss Civil Code. In the early years, the Society was mostly clinically orientated, promoting active involvement in clinical studies and trials, such as medulloblastoma, nephroblastoma and rhabdomyosarcoma, for example. Clinical aspects were prominent when surgeons, pathologists, paediatricians and radiotherapists met together. However, in recent years, more basic scientific aspects of paediatric oncology have featured at the annual meetings. Furthermore, SIOP has fulfilled its original intention of becoming a truly international Society and not restricting its influence and membership to one continent, or part of a continent. 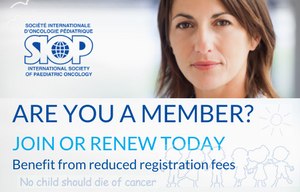 Beginning with a few enthusiastic members to more than 900 members worldwide, SIOP remains a friendly Society in which all the challenges of treating patients with malignancies are discussed in depth. SIOP continues to work in the interest of our patients, children with cancer, who wish to be cured to lead normal lives alongside other healthy children. Download full PDF below and enjoy a great read! 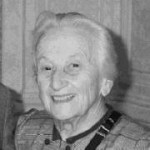 Pioneer of cancer treatment for children – born March 1913, Remisemont, Vosges, she died on March 26th 2002, aged 89 Odile Schweisguth started looking after children with cancer as a paediatrician at the Institut Gustave Roussy in Villejuif in 1948 and was made Chief of Paediatrics in 1951. After a trip to the USA in 1959, during which she visited Sidney Farber and met other pioneers, she returned to Paris inspired and began the introduction of anticancer drugs. Jean Lemerle joined her in 1966. One of the first successes was with Wilms’ tumour of the kidney, the commonest solid tumour in young children. Occasional patients had been cured in the past by often heroic surgery but the introduction of the drugs vincristine and actinomycin dramatically improved things. Villejuif was the only hospital in France specialising in childhood cancer and many patients were sent there from all over the country. There was great excitement when many of the children returned home cured of their fatal disease. In 1969 the first meeting of what was to become the Société Internationale d’Oncologie Pédiatrique (SIOP) was held in Barcelona with 30 attendees. Odile was elected as president and remained its inspiration and driving force for many years meridia. She retired in 1978 and SIOP honoured her by the introduction of the Schweisguth Prize to be given to the best young doctor training in paediatric oncology. There is no doubt that Odile Schweisguth was the pioneer who laid the foundations which enable us to now offer real hope of cure to the children who are unfortunate enough to be given the diagnosis of cancer.